4 Burning Questions: Who Goes Where in 2019? Home / 4 Burning Questions / 4 Burning Questions: Who Goes Where in 2019? Just how much bigger will silly season be this year? 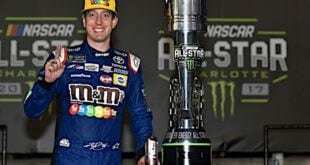 Silly season continued in the Monster Energy NASCAR Cup Series, with three drivers confirmed to be leaving their current rides in the past week and a fourth possibly contemplating doing so as well. Matt DiBenedetto announced last weekend that he and Go FAS Racing have mutually agreed to part ways. 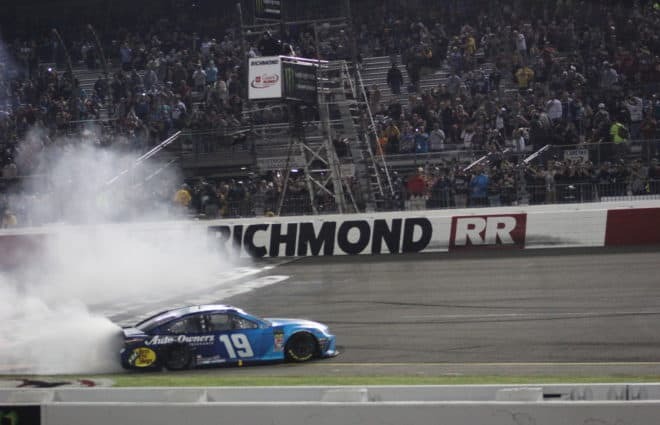 It’s unclear as to what the specific reasoning for the switch is, but all that’s known for sure is that DiBenedetto does not have a new team to race for just yet in 2019 and beyond. 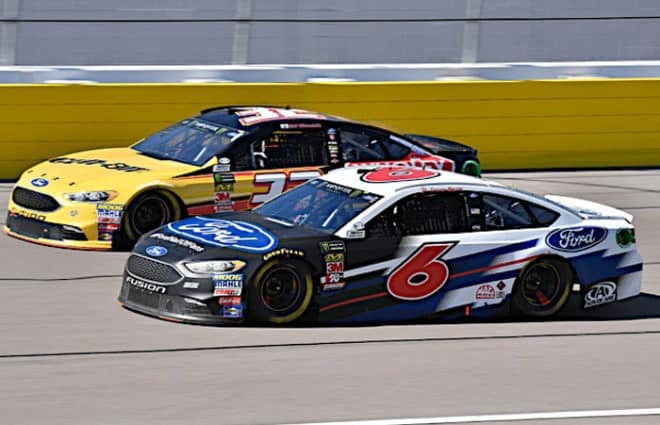 On Wednesday night, Jack Roush revealed in an interview with SirusXM that Trevor Bayne will not return to race for the team next season. This was not unexpected; Matt Kenseth coming aboard was partially a referendum on Bayne to figure out if his poor performance was on the driver, or the equipment. Outside of Indianapolis Motor Speedway, where Kenseth showed a lot of speed and would have finished in the top five if not for a pit road miscue, Kenseth has only been slightly better than Bayne in the car. Which is to be expected; Kenseth is a former Cup champion, after all. 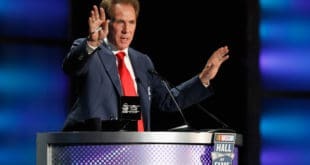 Chip Ganassi confirmed on Monday to the Associated Press that Jamie McMurray won’t be back with the team full-time following this season, but that he had offered him a one-race contract for the Daytona 500. McMurray would then move to the front office a la Dario Franchitti on the IndyCar side of the organization. McMurray hasn’t taken the deal and is currently weighing his options. Finally, it was reported by Sports Business Journal this week that Ryan Newman might be considering a move to take over the No. 6 that Bayne is leaving. Newman has been a solid driver for many seasons, but only has one win in the past seven years. Still, he could bring experience and stability to Roush Fenway Racing, which it’s lacked since Greg Biffle left the team following 2016. So right now, we’re looking at roughly a quarter of the field potentially with a new person in the driver’s seat next year, making this one of the biggest silly seasons on record in the past 20 years. None of these moves are quite as impactful as 2007, which saw Dale Earnhardt Jr. go to Hendrick Motorsports and Kyle Busch find his calling with Joe Gibbs Racing, or 2008 when Stewart-Haas Racing was formed. But when it comes to just how much movement there will be this off season, this has to be the biggest. 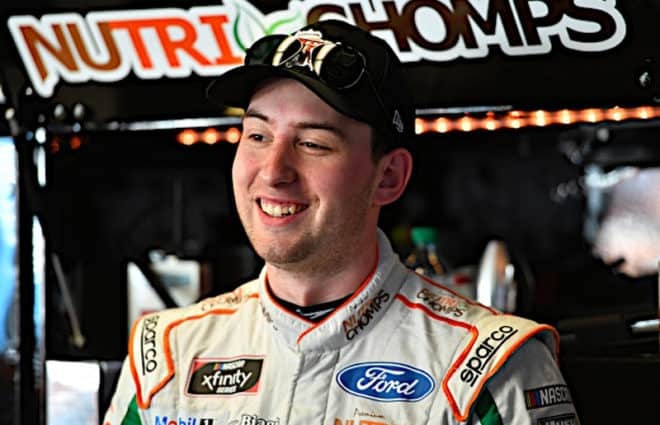 And once you factor in that Front Row Motorsports typically only signs its drivers to one-year contracts or that rumor from last month that the JTG Daugherty Racing drivers might be leaving the team, that’s not too far away from half of the field. What will the Cup rules package look like next year? After a mostly lackluster Indianapolis race that featured a pretty good finish, the talks surrounding the potential new aero package being used next year have only intensified. ESPN reported that the new high-downforce, low-horsepower package, one that was first used in the All-Star Race this past May and is designed to replicate restrictor plate racing on intermediate tracks, will more than likely be used next year. With the final decision on the 2019 aerodynamic package being made in two weeks, drivers have taken to voicing their displeasure to it. “If that rules package is implemented, this will be one of the last great playoffs,” Brad Keselowski told ESPN. Kyle Larson also voiced his disappointment with the move, which takes all lot of factors out of the drivers’ hands and more on luck and engineers. NASCAR is in a bit of a tough spot here. It can’t do nothing at this point — too much internal and external pressure to right the ship and increase ratings/attendance. It can’t lower the downforce, because last year showed us that teams would just find it again through research and development during the course of the season. And this high-downforce package is not popular with the drivers. 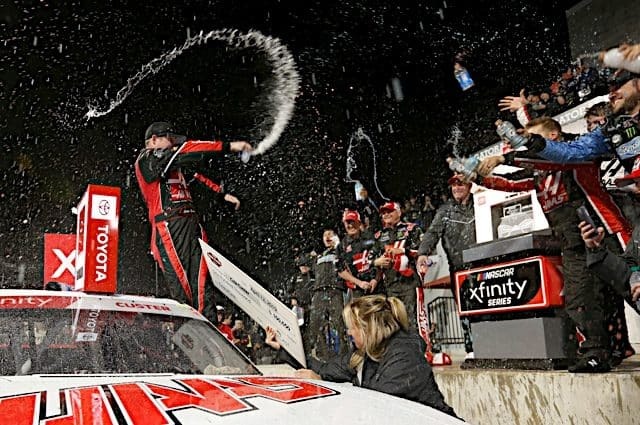 Can Justin Allgaier continue his dominance over the XFINITY Series field? 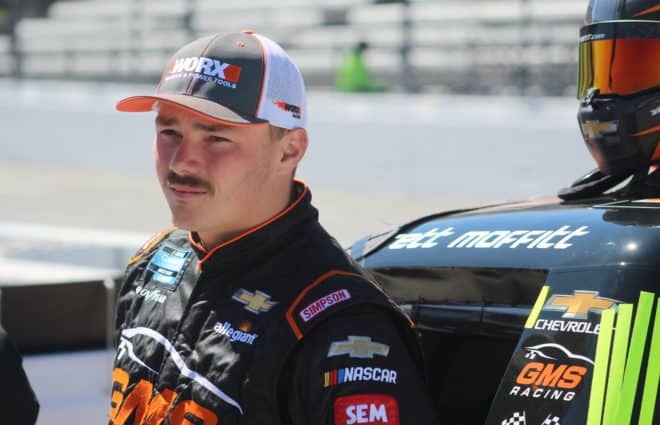 This weekend will mark the end of the NASCAR XFINITY Series regular season, and as with the Cup race last week, there’s not a chance for a lot of drivers to be knocked out. The three drivers on the bubble right now are Ryan Reed, Ross Chastain and Austin Cindric. No driver can pass any of them in points without winning the race outright. Michael Annett, Jeremy Clements, Ryan Sieg, Alex Labbe and Garrett Smithley are eligible to make the playoffs if they win. 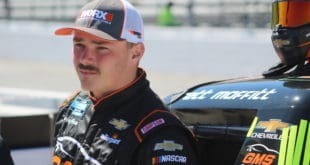 But considering Clements is the only former race winner of the five, and all but Annett are in underfunded equipment, there’s not much chance that any of them will win and get in. The race for the win will be interesting. With no Cup drivers allowed (I’m shocked there isn’t a note about that written in crayon below the sign to the garage), it’s really going to open up the field, and we might see some new faces up front. That’s what I’d write, anyway, if it weren’t for how big of a roll Justin Allgaier is on right now. Since crashing out at Pocono Raceway, Allgaier hasn’t finished outside of the top 10 in the last 13 race, and he’s won four of them (five total), including Monday’s rain-delayed race at Indianapolis. 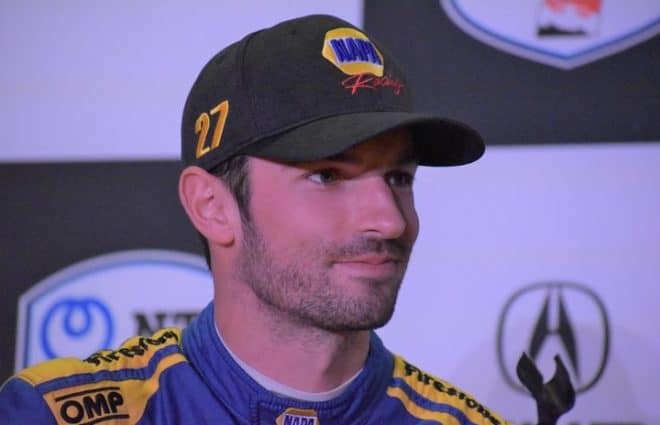 Although he’s won at a wide variety of racetracks this year, he hasn’t won at a mile-and-a-half track yet, and this weekend at Las Vegas will be the perfect opportunity. Will this second weekend at Las Vegas be the beginning of the end? Although there has been much ado about the move to make Indianapolis the cutoff race for the Cup Series and turning Charlotte into a ROVAL, another huge move to the NASCAR schedule this year was the addition of another Cup race at Las Vegas. New Hampshire Motor Speedway lost this date to its Speedway Motorsports, Inc. sister track, and it remains to be seen if this was a successful move from a fan perspective. It was for SMI; it is getting a lot of money locally from this race, a lot more than what it’d be getting by keeping the race in New England. But this is the second triple-header weekend at a track that isn’t exactly that exciting. No other racetrack in NASCAR has two triple-header weekends. It’s not that I’m concerned that SMI will lose money on this endeavor, because it can’t. I’m concerned that this is going to kill another budding market due to oversaturation. Auto Club Speedway had a lot of success in drawing fans to the racetrack its first few years on the circuit. Then NASCAR decided to add a second Cup date there the same year it ended the Southern 500 and eliminated Rockingham Speedway from the schedule entirely. After a few years, the 2-mile California track’s crowds had diminished to an embarrassing degree, and the fall date was cut. Now the track hosts one of the better races of the season, both from a quality standpoint and an attendance standpoint. It’s hard not to imagine Las Vegas following this path over the next decade, only it never had that strong attendance backbone that Fontana had before the second race. Previous NASCAR 101: Who’s Most Likely to Progress Out of the Cup Playoffs’ First Round? IMHO the second date at Las Vegas has everything to do with SMI being assured that they would be able to make more money there than at New Hampshire. Well that was a long article about nothing. Doe anybody really care where DiBenedetto, Bayne, McFlurry, or Newman land? Aerodynamics packages…YAWN! Yes some of us do care about where people might land. It amazes me, you will read and comment on the article and say who cares. You do or you would not have taken the time to read it and comment on it, . Grow up and stop bitching.